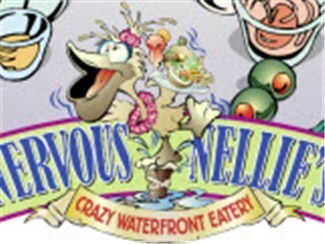 Nervous Nellie’s at Snug Harbour Marina on the Estero Island side of the Matanzas Bridge in Fort Myers Beach. They have something for any flavor you’re looking for, quite literally. The menu is humongous – it might be a good idea to study up by downloading the menu online before you go so you can place your order quickly once you’re seated.